Whether you are a professional or first time contractor going to work in another country, a recruitment business placing a candidate in an international contract position, or a corporate organisation embarking on an exciting new project or addressing an internal skills shortage, 3C Global Group are your ideal partners to help ensure that engaging in a new contract is a success. When you first contact us, we will listen carefully to your needs and help each stakeholder in the contract chain to compliantly navigate any potential risk concerning income tax, immigration, social security & local employment law. Contracting in a new country can be a daunting prospect, but with expert guidance from 3C Global Group - it need not be! As a contractor, we at 3C Global are all too aware that it can sometimes be challenging to find your next contract. Having to be in self-promotion modefor long periods of time can sometimes be draining. 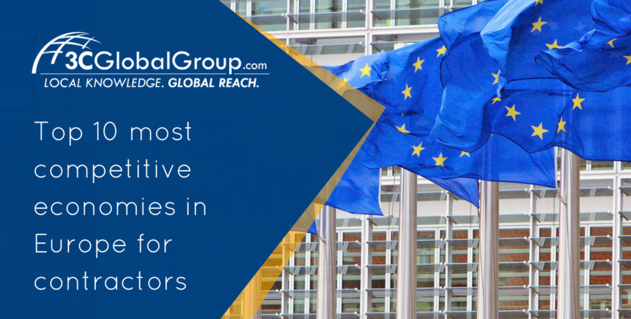 Whether you are trying to decide where to base your next contract adventure, or seeking out potential new recruits, perhaps you should consider staying in Europe. "Thank you for taking very good care of my legal issues during my stay in Germany. Your team gave me the peace of mind I needed to focus only on my job." "I would highly recommend the team from 3C Global Group for all the great service and advice they have provided to me." "Our contractors found their smooth service to be very competitive and were always happy to sign up." "Every concern that I had, was always been reassured with superb quick responses and solutions." We are available via Telephone, Email or by filling in the contact form on our website. We aim to get back to all enquiries in a timely fashion.